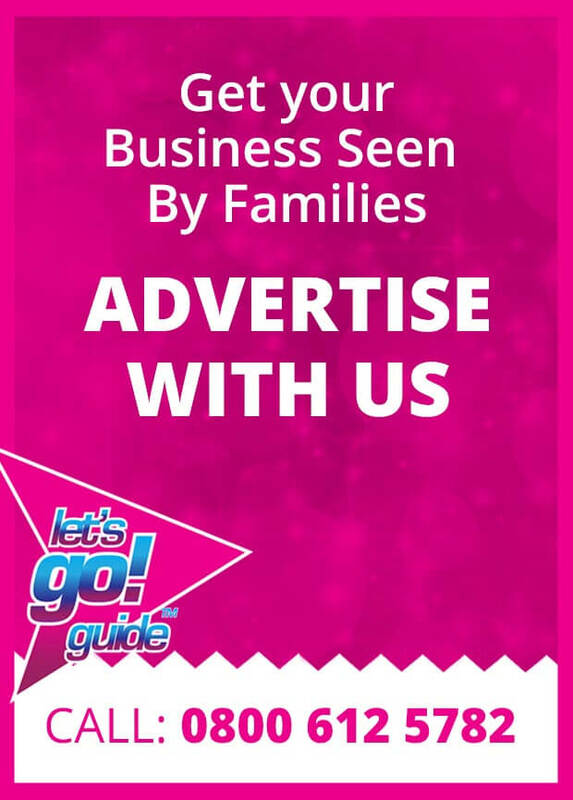 whether that’s in sport, art or education – we want to know!! Hi, I’m Emily. 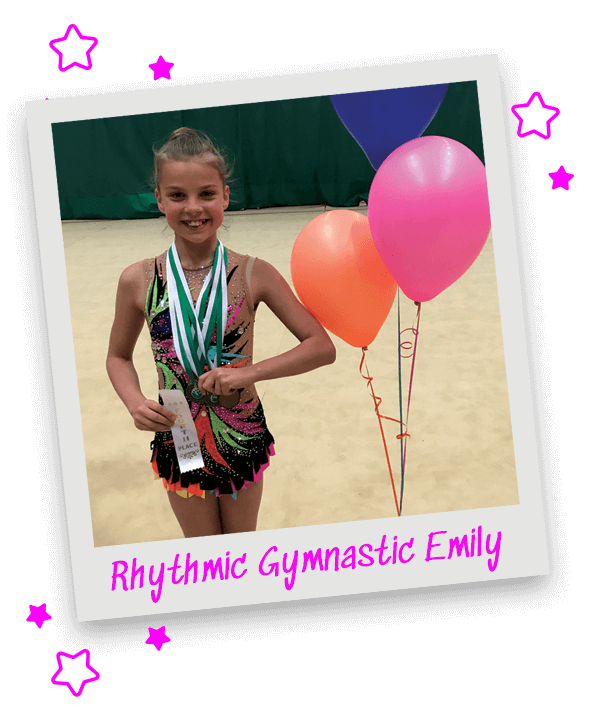 I’m a ten-year-old rhythmic gymnast from Kirkham & Wesham Primary School. I started classes at Ribby Hall in Wrea Green when I was seven years old. I couldn’t even do a cartwheel or the splits. I have been competing for two years and in the last twelve months, I have made it onto the under 12’s England and Great Britain team. I train for 16 hours a week over six days with my teammates and amazing coach Ana Hanmer. 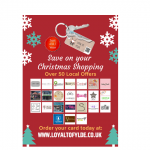 Our lessons focus on flexibility, ballet, strength and conditioning and apparatus handling. The apparatus are rope, ball, ribbon, hoop and clubs. 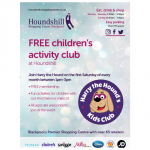 I compete as an individual under 10 and part of an under 12’s group. So far this year as an individual I have placed 3rd in the North West and made it to the National Finals. My group has qualified for the British championships in June at Telford international arena, where we hope to be crowned British Champions. The competitions are nerve-wracking at the start but when you get into it it’s a lot more exciting, plus you get to wear super sparkly leotards. My Ribby Hall team is like family and I have made friends for life. I love rhythmic gymnastics and recommend it to everyone! The Fylde Coast’s Ruby Russell is a force to be reckoned with. Her chosen sport is Tae Kwon-Do at which she is currently a blue belt red stripe training with Lytham Tae Kwon-Do. In 2016, at only 7-years-old, she achieved a silver medal for sparring in the Tae Kwon-Do World Championships. Now 9-years-old, she hopes to increase that to a gold medal and title of World Champion at the Birmingham Arena in July. 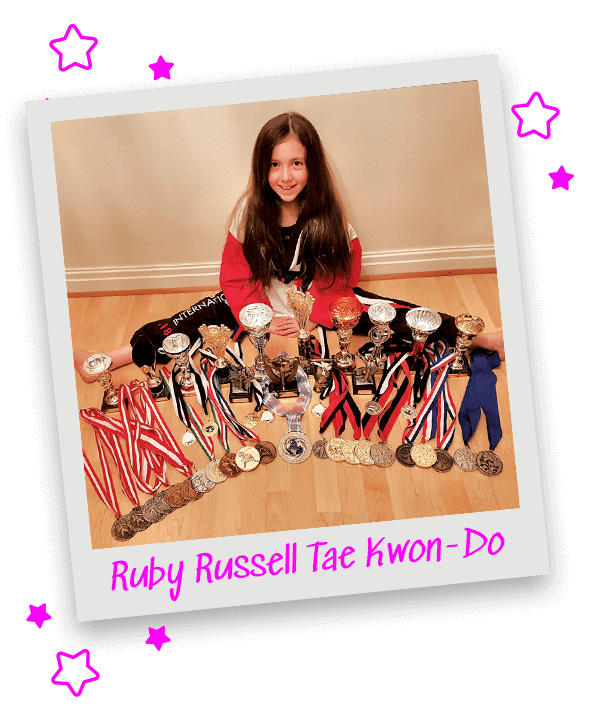 Ruby already holds English, Welsh and double British titles as well as achieving a host of other gold, silver and bronze medals at National and Regional level. Her ultimate dream is to be an Olympian following in the footsteps of her idols Jade Jones, Bianca Walkden and especially her good friend Amy Truesdale, who is part of the Paralympic Tae Kwon-Do team. 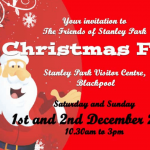 Good luck Ruby – our Fylde Coast superstar! Joey is the home of Joey, a happy and energetic boy that lives with sensory processing disorder and copes with day to day issues by helping others and trying to smile as much as possible. He produces these calming bottles to help focus himself and to help others to be happy and cope with their stress and anxiety. With every sale of a product – Joey contributes 25p to The North West Air Ambulance Charity – a charity that is very close to Joey’s heart as they saved his daddy’s life! Joey has been home educated since the age of 4 and 1/2 as his anxiety and sensory difficulties became too much for him to cope with. 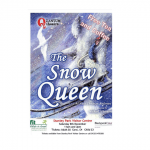 Since leaving school he has grown in confidence and continues to strive in all areas! He has a special affinity with numbers and loves running his own business – working out expenditure, costings and profit margins! Joey also loves to raise money – he has been a keen supporter of Cash for Kids since the age of 3, raising over £1000 so far by bouncing on trampolines for many hours dressed as his favourite superheroes! Joey won a Lego competition recently from thousands of hopefuls by designing his own Lego Creation during a timed public event build off! He is now a member of The Lego Creative Crew which sees him working with Master Model Builder Alex Bidolak at Manchester every month! His spare time Joey can be found practicing his free-running skills with his friends at the Street Monkeys, creating potions or playing Lego! In the future Joey hopes to become a member of the RNLI and drive a Lamborghini! 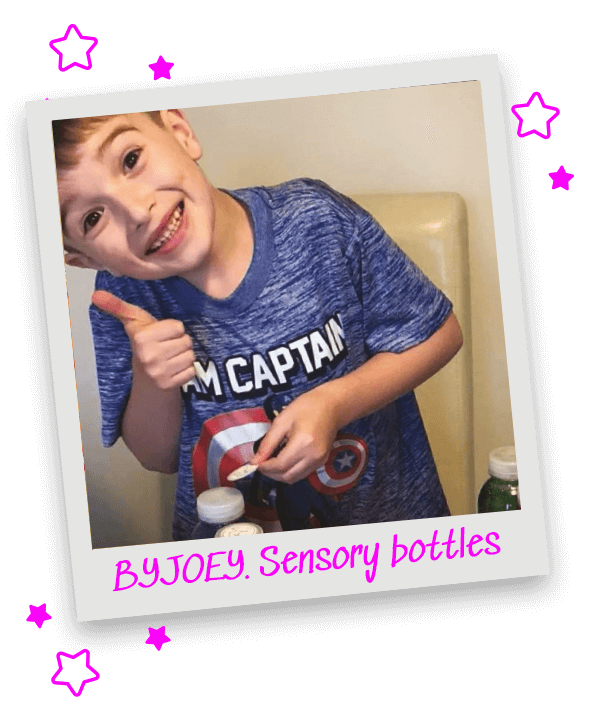 So if you know of anyone who could benefit from a Calming Sensory bottle – send them over to byjoey.co.uk or visit his Facebook page Adventures of Joey.